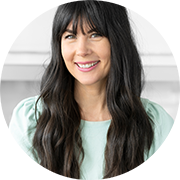 I interviewed skin care expert Graydon Moffat recently about her favourite at-home skin care ingredients. We discussed some of the best superfoods that you can both eat and put on your skin topically – literally food for the skin. In this interview, she will show you how to make a turmeric paste that has many beauty uses. If you've tried my Turmeric Honey Soother to fight a cold (or prevent one) then you're in luck because you likely have all the ingredients to make this beauty recipe she shares in the video. As much as we both adore turmeric and we discussed beauty superfoods. Combine ingredients together in a glass jar or bowl. Use topically or add it to that water and enjoy as an anti-inflammatory tea. *Be sure to buy the best quality, preferably certified organic turmeric for the health benefits. **Caution: If you are fair-skinned and the turmeric you are using is super-potent because it's high quality, be cautious that it might strain your face temporarily. You might want to add one of the superfood ingredients below, if you plan on using it as a mask. You can also use it on insect bites and inflamed dry skin. It is great for eczema. A powerful medicine that has been used in cultures around the world for hundreds of years. The reason it's got serious healing cred is because it is incredibly anti-inflammatory and rich in antioxidants. The active healing component in turmeric that gives it the rich yellow/orange jue is called "curcumin." 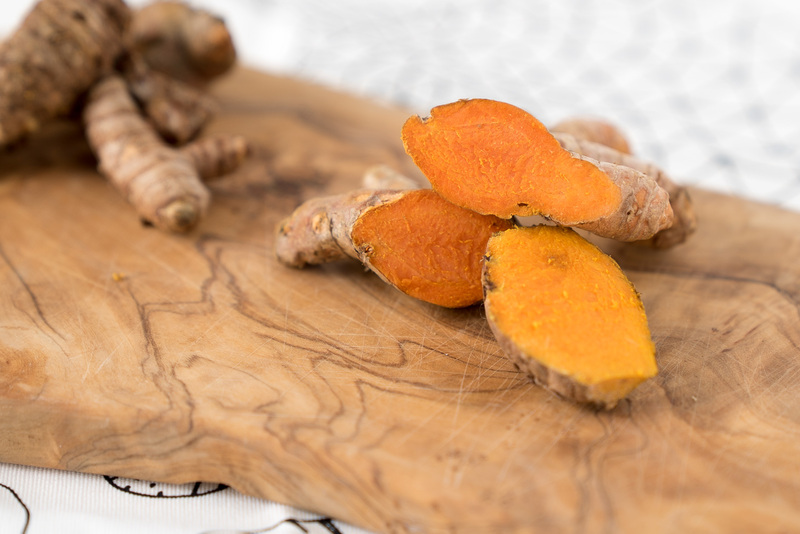 The anti-inflammatory effects of curcumin have been shown to be comparable to potent drugs hydrocortisone and phenylbutazone as well as over-the-counter anti-inflammatory agents such as Motrin. However, eating a whole food has none of the negative side effects that pharmaceuticals have, of course! One of the reasons turmeric is a beauty superfood is because it enhances detoxification of the liver. Specifically, it increases two types of detoxification enzymes. Skin health is a reflection of your liver's health, so eating foods to enhance liver function are highly beneficial. This is why I always recommend drinking lemon and water – give your liver some daily love! Incredibly tasty and health-promoting manuka honey is another superfood beauty staple that you want to stock in your kitch! The most notable health beauty benefit is its antibacterial qualities. It helps to fight acne-causing bacteria and it soothes inflamed skin. I love manuka honey especially in the winter when it's dry because it helps draw moisture into the skin. My skin is definitely prone more to dryness so I love foods that help my skin's hydration any time of year. And of course, honey should be a staple in cold and flu season. Either slather it on your face for beauty benefits or try adding some manuka honey to your tea or on top of toast to keep your immune system strong. I've written about avocado extensively and there are multiple recipes on Joyous Health with this incredibly buttery wonderful superfood. Years ago when I was fat phobic and finally introduced good fats into my diet, I saw dramatic improvements in my skin. I see this time and time again with my clients when I encourage them not to be afraid of fat. As you probably noticed in the video, Graydon agrees with me! She's an avo-lover and for many good reasons. Avocado is rich in fat, but the type of fat that is incredibly anti-inflammatory. It's also a surprisingly fiber-rich and hydrating fruit. This is a food that creates beautiful skin from the inside out but of course, it can be used topically when combined with the turmeric honey paste for a super hydrating facial mask. Have you tried my Matcha Avocado Mask yet? Learn more about the health benefits. Be sure to watch the whole video for other superfood ingredients. 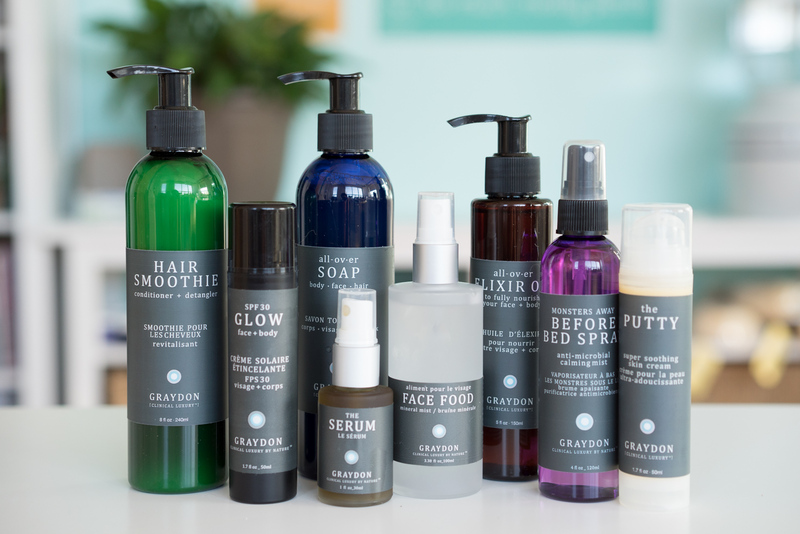 Graydon has a wonderful line up of amazing products for hair and body, as pictured below. I've had the pleasure of trying many of them. My two faves are the Face Food spray and the Serum. Any questions, please feel free to post below. Thanks again to Graydon for coming to the Joyous HQ and filming with me! Limes are great too, just not as high in vitamin C as lemons. I used creamed honey for the paste. It works more like a mask and doesn't dye my skin. A bit of matcha powder is nice to add too for an antioxidant boost. Works great for acni, thanks for the tip! I'd like to know what products you use on your hair. Love your site. Is there a skin treatment for age spots.